scenery, from towering mountains to spectacular seascapes. 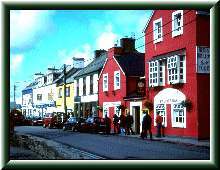 fishing villages and genteel towns. Dingle Peninsula it is difficult to know where to start. Fancy a friendly chat and a pint, then your needs will be well catered for. If scenic beauty is your goal you will not be disappointed with what this area has to offer. 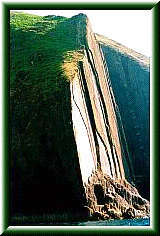 If you are into walking or hiking then Dingle can offer you more walking than you can shake a stick at. Click on any of the above images to reveal more on that theme. 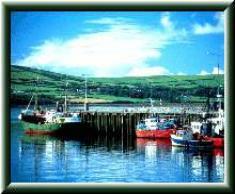 Whatever you do in Dingle do one thing - enjoy it!